Great science stems from curiosity and hard work. In this case, it all began with a broken freezer. Atsuko Kobayashi (MS '91) and Caltech professor Joseph Kirschvink (BS, MS '75)—a husband-and-wife team of researchers who divide their time between Japan and the U.S.—returned to their home to discover that their freezer had died at some point during their absence. 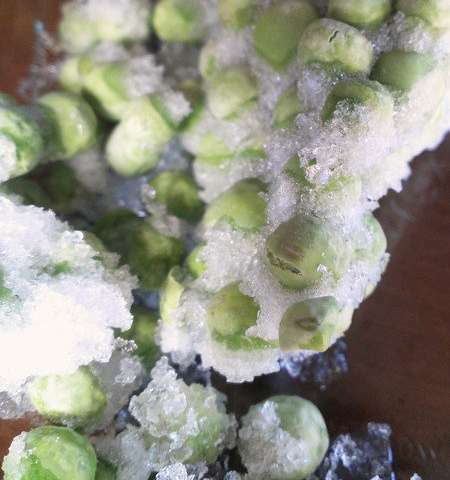 While shopping for a new one, Kobayashi saw an advertisement for a special type of freezer using magnetic fields to keep food fresher by "supercooling" them. She did not buy it, but she wanted to know why supercooling might improve frozen food and how magnetic fields might cause supercooling. When chilled below 0 degrees Celsius, water molecules start forming ice crystals wherever there are minerals or other solids suspended in the water—what are known as nucleation sites. Completely pure water, lacking nucleation sites, can be chilled well below the usual freezing point and yet remain a liquid—a process called supercooling. Supercooling has commercial advantages. Indeed, without necessarily knowing the mechanisms behind why they work, Japanese fishermen have been using the magnetically controlled freezers to transport fish long distances to market. The treatment is purported to reduce the cellular damage in the fishes' flesh, keeping the flavor and texture intact. The fish often sell on the competitive fish market at prices comparable to freshly caught variety. "When you supercool water before freezing it, the resulting ice doesn't expand as much in volume as regular ice because it takes on a different crystalline structure. If you are freezing tissues, which have water in them, less expansion means less damage to cells," Kobayashi says. The process also offers scientific advantages. 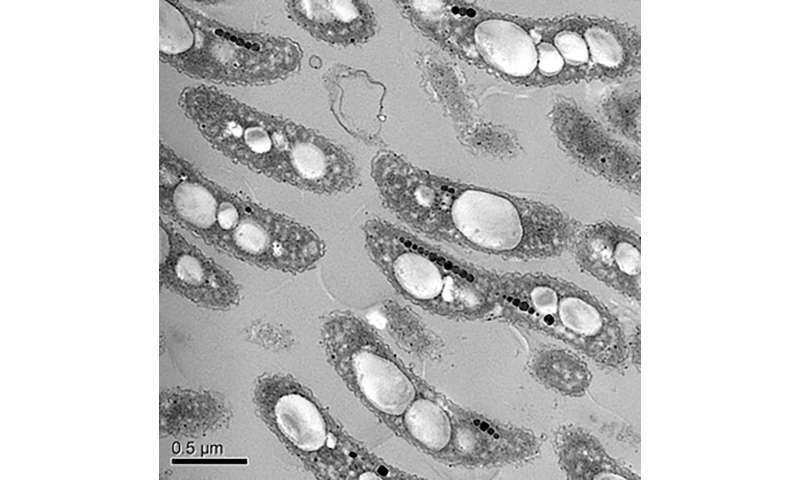 As an electron microscopist, Kobayashi often has to freeze biological tissues before generating images of them. One of her major goals has been finding ways to freeze biological tissue while minimizing damage caused by ice crystal formation. "The question was, why would magnetic fields have any effect on whether unpurified water, like the water in cells, could be supercooled?" asks Kobayashi, who is a senior research scientist at the Earth-Life Science Institute at the Tokyo Institute of Technology and visitor in geology and biology at Caltech. While researching minerals capable of ice nucleation, she had a realization: the answer could lie in magnetite, a naturally occurring compound of iron and oxygen that is magnetic. Their work builds on the research of Heinz Lowenstam, a paleoecologist who joined Caltech in 1952. Although it was well known that animals could generate hard minerals in teeth and bones, Lowenstam made the discovery in 1962 that the teeth of chitons (a type of marine mollusk) were capped with magnetite. Magnetite is the hardest mineral any animal can make, and it was later discovered as a biological precipitate in creatures like bacteria, bees, birds, and mammals—including humans. Kobayashi has demonstrated that trace amounts of magnetite particles added to water have a huge effect on its freezing temperature. An earlier paper by the Kobayashi/Kirschvink research team showed that a few parts per billion of magnetite added to ultrapure water—water lacking any other nucleation sites—prevented supercooling almost entirely. Digging deeper, they found that ice crystallizes easily on the surface of magnetite particles at temperatures just below 0 degrees Celsius. Reasoning that any slight disruption at the surface of the magnetite should disrupt this process and prevent freezing, they next designed a series of experiments using rotating magnetic fields about 20 times stronger than the earth's magnetic field—strong enough to jiggle the magnetite molecules. By keeping the magnetite molecules in constant motion, they prevented ice from forming on their surface and were able to supercool magnetite-impregnated water almost as well as ultrapure water. This even worked in two representative types of tissue: celery (for vegetables) and cow muscle (for meats). By jiggling the magnetite molecules in the cells of the plant and animal tissues, they were able to supercool them and ultimately freeze them with less damage to the tissues. "The finding validates the Japanese fishermen who have been using this technology for years and confirms magnetite as the underlying cause of why damaging ice forms in tissues," says Kobayashi. It also suggests a way to help address world hunger, she says. Recent estimates by the National Resources Defense Councilindicate that 40 percent of the human food supply is lost between the farm and the dining table, and that frost and freezer damage is responsible for a portion of this loss. "If that damage could be mitigated by the controlled application of magnetic fields, more food might make it to tables worldwide, reducing the fuel, fertilizer, and water needed for modern agriculture," Kobayashi says. "Understanding the reason why damaging ice forms in tissues when they freeze could also lead to improved techniques for cryogenic storage of living eggs, sperm, embryos, and perhaps even small animals." For Kirschvink, this finding is just the start. Magnetite may be a primary cause of ice nucleation in nature, he says. "Climate scientists have been trying to pin down the source of ice nucleation for decades so that we could improve atmospheric circulation models, cloud seeding. The study, titled "Magnetic Control of Heterogeneous Ice Nucleation with Nanophase Magnetite: Biophysical and Agricultural Implications," appears online ahead of publication in the Proceedings of the National Academy of Sciences on May 7.